Saturday, March 12th was the last day of the 2016 regular legislative session. The governor is still working his way through bills passed the last week, deciding what he will sign into law or veto. 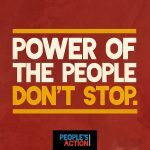 Catch up on what happened the last week of session and since and see where you can still take action! It’s been over a week since the end of the session and it’s taken us that long to recover, reflect, and report on this one-of-a–kind, sixty-day marathon. Saturday, March 12th at midnight, the West Virginia legislature adjourned “sine die” which, translated from the Latin “without day” means “without assigning a day for a further meeting or hearing.” I’m wondering: have they already violated their new “English only” law (HB 3019) which states “All official business of this state shall be conducted in the English language”? In all, the legislature passed 277 bills (139 House bills & 138 Senate bills) during its sixty-day session. The governor vetoed some of the worst, including Right-to-Work (for less) and the most restrictive (and probably unconstitutional) anti-abortion law in the nation. However, these were passed early enough in the session for leadership to bring them back and vote to overturn his vetoes. Now that the session is over, any further vetoes will probably stick. Voter ID (HB 4013) and drug testing TANF recipients (SB 6) were both “watered down” from their original, awful versions to become much more moderate; however, they are still unnecessary and a waste of our tax money and public employees’ time. 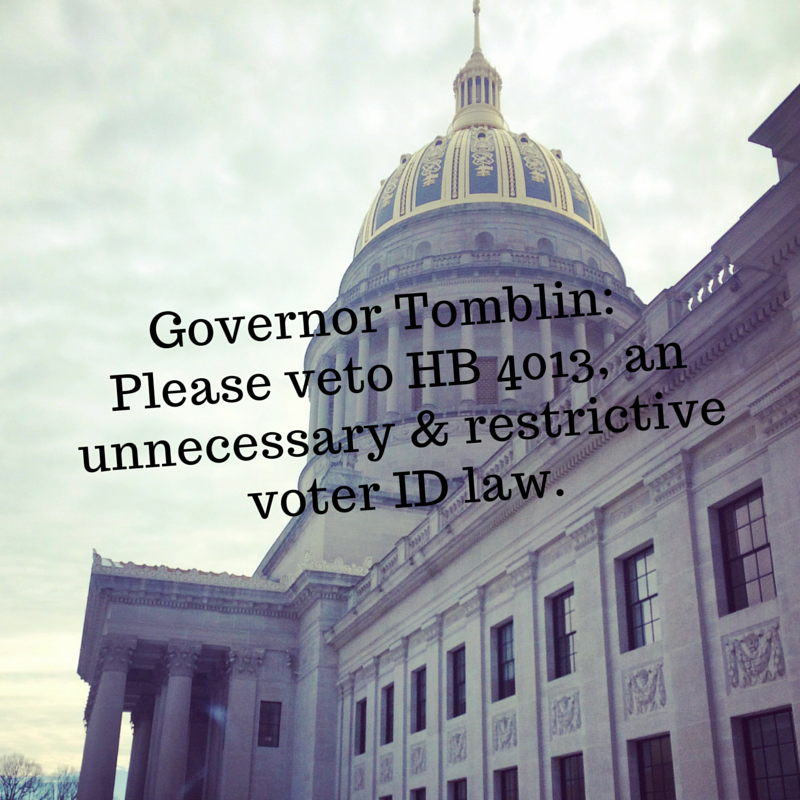 Unfortunately, Governor Tomblin signed SB 6 into law this week, BUT there is still time to ask the Governor to veto HB 4013, the voter ID bill! Many bills were regressive like the “Regulatory Reform” bill SB 619 that sunsets all rules which every state agency operates under every five years and makes them review these and get them re-approved by the legislature Rules are the agencies’ framework on how state law is applied and enforced. This new review requirement will add even more work to already overworked agencies like DHHR and DEP and mean more rule-making review for the legislature. Is this part of the plan to make sure government doesn’t really work well? 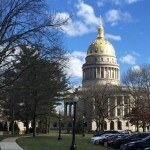 Some good policy did make it through the meat-grinder at the legislature.A bill supported by the WV Nurses Association and others to let Advanced Practice Registered Nurses (APRNs) practice to the full extent of their training is now a reality. Legislators also passed the governor’s bill to allow citizens who have lost their driver’s license (not from DUIs but for reasons like non-payment of tickets) to get a provisional license and get back to work. This was the companion bill (on the Our Children, Our Future’s top ten policy list) to the Second Chance for Employment Act which, as we mentioned previously, was passed by the Senate only to be slapped down by House leadership. One of the bills that took up way too much legislative time and energy to get passed was the “Brunch Bill.” It was a simple proposal to let restaurants start serving alcoholic beverages at 10 AM on Sundays instead of the current 1 PM restriction. Not having the votes to approve it statewide, lawmakers set up a process for each county to have a citizen referendum on selling drinks during “church hours.” Watch for this issue to appear on many ballots this fall. This session was a mixed bag for some of the big players. The oil and gas industry, usually a darling of lawmakers, didn’t get any of its big ticket demands this year.Forced pooling measures failed along with their anti-nuisance suit bill and a bill allowing drillers to bulldoze new well pads even before getting a drilling permit. Coal, came hat-in-hand to lawmakers asking for a whopping 40% severance tax break which the Senate promptly passed adding oil and gas in on the take. Had this not been such a desperate year for the state budget, we suspect they would have succeeded. 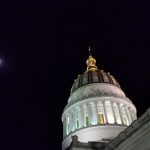 However, they only got the $110 million in tax cuts proposed by Governor Tomblin through eliminating the “excess” 2% severance levied since 2005 to bolster the state’s underfunded worker’s compensation fund. 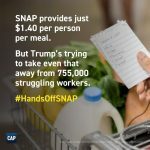 Greed knows no limits! One of the “sleepers” that passed at the end of the session was a resolution, HCR36, which calls for a full-blown Constitutional Convention of the states for the purpose of adding a balanced budget amendment to the US Constitution. Regardless of your opinion on forcing our nation to balance its budget (the WV Center on Budget & Policy is adamantly against), convening a convention of the states could have serious unintended consequences. Many constitutional scholars on both sides of the political spectrum warn us that they see no means to make sure such a convention could be limited to address only one or two issues and may, at its own discretion, be able to tinker with the whole document! 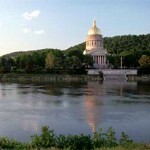 West Virginia is the 28th state to pass such a resolution. When the tally reaches 35, then Congress must move to convene the states into a convention. This is probably the most dangerous piece of legislation to emerge this session. It is unclear how a state can reverse its call for a ConCon, but the legislature should do so next year. Citizen lobbyists can be very effective with their legislators and one such person, Lori Magana aka “the Cookie Lobbyist”, has since the 2014 water crisis been there to remind lawmakers to keep our water safe. She was recently featured in Positive Solutions E-Magazine and deserves this attention for her passion and tenacity on this issue. Another citizen who’s made a big difference for his tireless work the past two sessions is Jesse Johnson. Lobbying both sides of the isle, he was successful in having credible bipartisan bills introduced to make West Virginia the next state east of the Mississippi to approve medical cannabis. 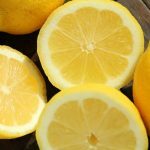 With help from a veteran of the Iraq and Afghanistan conflicts suffering with PTSD and another young man who is a cancer survivor, this citizen team has made great strides in challenging the existing misinformation about this medicinal plant and providing fact-based documentation of its therapeutic value. For more info on this issue see wvnorml.org. This is only time in my 20+ years of lobbying that we have not emerged from a legislative session having a completed state budget –with the exception of 2009 when Governor Manchin waited to see how much stimulus funding the federal government allotted to our state. The Charleston Gazette-Mail headline the day after sine die was “After Day 60, Budget Still Broken”, and legislative leaders have made no progress since then. Actually, things have gotten worse – the governor just came out with a revised revenue estimate that predicts an additional shortfall of nearly $100 million in addition to the red ink already projected. There is not sufficient space in this update to delve into the various new revenue proposals that died or cuts that may be imposed to keep our state paying its bills. Better to check out the WV Center on Budget & Policy’s website for the blow-by-blow on this critical debate. One thing WV CAG recommends is if lawmakers extract significant new revenue from working families in our state, then they also create a state Earned Income Tax Credit (EITC). Low-income, working families already pay a larger percentage of their income in the various state taxes levied than top income taxpayers. A refundable EITC would lessen the tax burden on struggling families and make our tax system fairer and more progressive. This is the slogan emblazoned on the homemade banner unfurled on the front steps of the Capitol as hundreds of angry citizens rallied to protest the most abusive legislative session in recent history. It is incumbent on all of us to make this happen – to get ourselves and our families, friends, and neighbors out to vote. Even better, get out and work for the candidates you support – it can make the difference between them winning and losing. Many state House races are won or lost by only a handful of votes – your vote MATTERS! And your volunteer efforts can often get your candidate over the top! Another way to make a difference is to become a supporting member of WV Citizen Action or renew your membership. Your support makes it possible for us to do the advocacy work and represent you, our citizen activists, here in Charleston. Contribute online or by snail-mail to 1500 Dixie Street Charleston, WV 25311. 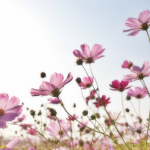 Those who wish to make a tax-deductible donation can do so through our Education Fund. Either way you’ll be helping us create a West Virginia that works for all of us, not just the 1%. Thanks for your support! Of the various election related bills we told you about during the legislative session, only two – one good, one bad – made it to the Governor’s desk. During the last week of the legislative session, the Senate passed HB 4013, a bill requiring voters to show identification when voting, beginning with the 2018 elections. The version passed by the Senate significantly expanded the list of acceptable forms of ID that voters could show at the polls. The Senate also included a provision for automatic registration. When someone renews or gets a drivers license or photo ID at the Division of Motor Vehicles (DMV) they would automatically be registered to vote unless they chose to opt-out of registering. The House refused to concur with the Senate amendments; however, a conference committee appointed the last day of the session to work out the differences between the two versions agreed to retain most forms of identification added to the bill by the Senate. The conference committee also included language clarifying that any document “issued by the State of West Virginia, or one of its subsidiaries, or by the United States Government” that “contains the name of the person desiring to vote” would be considered a valid identifying document even it isn’t specifically included on the list of accepted documents. Acceptable forms of ID include driver’s licenses and passports, student and military ids, Medicare and Medicaid cards, concealed carry permits, and hunting and fishing licenses. Some non-government issued forms of identification such as bank and debit cards, utility bills, and health insurance cards would also be accepted. Voters who lack a valid form of ID could have a friend or poll worker vouch for them. Conferees also agreed to keep the automatic registration provisions but delayed implementation until July 1, 2017 to give the Secretary of State and DMV time to do rule-making. Although HB 4013 is more lenient than most of the voter id requirements passed in other states in recent years, it is still a pointless law that has the potential to disenfranchise eligible voters and cause unnecessary delays at the polls. Voter fraud, and more specifically, voter impersonation, is virtually nonexistent. 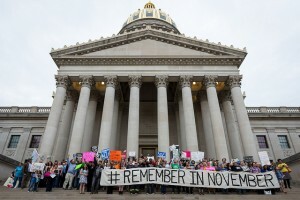 Supporters of the bill acknowledged that there are no documented cases in West Virginia of the type of fraud the voter ID bill would address. HB 4013 is a “solution looking for a problem”, and we’re asking Governor Tomblin to veto the bill. 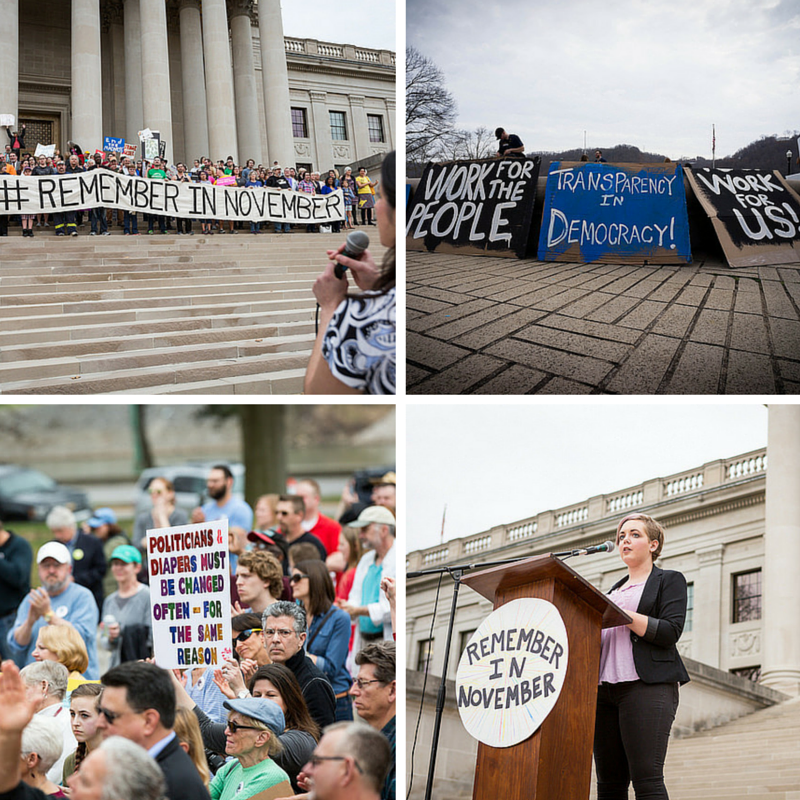 Send a letter to the Governor or call (304) 558-2000 to ask him veto this unnecessary and restrictive voter id law. That’s the bad news. 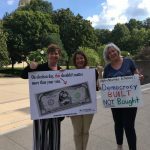 The good news is that both houses passed and sent to the governor HB 2588, which would require all candidates that file their campaign finance reports with the Secretary of State to file their reports online using an internet-based program created by the Secretary starting in January 2018. Those covered by the bill include candidates for statewide and legislative offices, circuit court, and family court judge. While candidates could still request and be granted a hardship exemption, electronic reporting would streamline filing and oversight, making it easier for the Secretary of State to audit and monitor campaign finance reports for compliance. Electronic filing would also make it possible to develop a searchable online database of contributors to West Virginia political campaigns. This would be much more meaningful and user friendly for the public than viewing scanned documents that aren’t searchable and are sometimes illegible. We hope the Secretary of State will establish such a database, even though it is not required. Also passed and sent to the Governor was SB 591, which allows the Secretary of State and the DMV to enter into an information sharing agreement for the purpose of voter registration list maintenance. The bill also authorizes the Secretary of State to participate in a multi-state partnership and interstate data-sharing agreement aimed at improving the accuracy of the states’ voter rolls and increasing access to voter registration for all eligible citizens. This collaborative, known as the Electronic Registration Information Center or ERIC, is governed and managed by the states who choose to join and was formed in 2012 with assistance from the Pew Charitable Trusts. The introduced version of SB 591 also provided some much needed funding for our Supreme Court public campaign financing program. As originally proposed, the bill would have transferred any balance in the Combined Voter Registration and Driver Licensing Fund in excess of $100,000 at the end of each fiscal year to the Supreme Court of Appeals Public Campaign Financing Fund. However, the final version of the bill sends these monies to the General Revenue Fund. In addition to these bills, the Legislature passed and sent to the governor a handful of other election related bills setting deadlines for candidates to withdrawal from having their name on the ballot, clarifying procedures for filling those vacancies and vacancies for other elected offices including judicial vacancies, and cleaning up erroneous references in the law related to absentee ballot fraud. In early February, Beckley lawyer and former legislator Bill Wooton and Justice Brent Benjamin were both certified to receive public campaign financing by the State Election Commission (SEC) (read more here and here) despite objections from Beth Walker, who is challenging them in this year’s race for the WV Supreme Court of Appeals. Former Justice and state Attorney General Darrell McGraw and Clay attorney Wayne King are also running for the seat currently held by Benjamin. The Walker campaign contends that Wooton filed his application for certification with the Commission a day late and appealed the SEC’s decision in Kanawha County Circuit Court. Walker’s appeal claimed Wooton should be disqualified from receiving public financing based on his failure to meet the deadline for filing his Application for Certification with the Commission. Walker also appealed Benjamin’s certification after the SEC rejected her challenges to more than 500 individual donors who made qualifying contributions to Benjamin’s campaign. After the Commission unanimously approved Benjamin to receive public financing, his attorney Anne Charnok read a statement of appreciation from Benjamin. You can read Justice Benjamin’s full statement to the Commission here. However, two Kanawha County circuit court judges disagreed with the SEC’s decision to award public financing to the two candidates. Wednesday, March 23rd the Supreme Court heard arguments from attorneys representing Benjamin and Wooton asking that they uphold the SEC’s decision. Because all five justices voluntarily recused themselves from the cases, a panel of senior status and circuit court judges heard the arguments after reviewing the parties’ written briefs. The basis of Walker’s initial challenges and appeals of the SEC’s decisions in favor of Benjamin and Walker were technical in nature. However, the temporary panel of judges agreed with attorneys for the participating candidates that the Commission was right to base its decisions on substance and the fact that Benjamin and Wooton met the requirements necessary to qualify for public financing rather than procedural technicalities (read more here and here). This means both candidates get to keep their public financing, which is good news! We shared concerns expressed previously by at least one SEC member that the decision could have a chilling effect on future participation in the program if Benjamin and Wooton were denied public financing. Despite the positive outcome, some changes are probably warranted to the public financing program in response to the challenges in terms of how it is administered. We’ll continue to keep you posted on any developments related to the future of the public financing program. In the meantime, to learn more about the candidates, their judicial philosophies, and their positions on public financing of Supreme Court elections, an intermediate court of appeals and West Virginia’s judicial reputation check out their recent meeting with the editors of the Charleston Gazette-Mail. 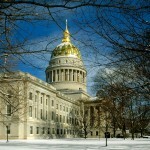 The major legislative priority for Energy Efficient West Virginia (EEWV) disappointingly did not make it out of the Senate this year, but EEWV was able to get a study resolution to potentially move toward making the state more efficient. Regular readers of CAG’s and EEWV’s updates will know that the top priority of Energy Efficient West Virginia has been the Local Energy Efficiency Partnership Act, or LEEP Act. The LEEP Act is based on laws that have been enacted in 30 states that make it so businesses can make their buildings more energy efficient and pay for the upgrades over time on their local property tax ticket. It would give local governments the option to allow local businesses to repay private loans on their tax ticket. Despite EEWV’s efforts to identify any opponents and work with them to make the bill amenable to them, the state’s electric utilities ended up killing the bill for no good reason. EEWV worked over the past few years to grow the sponsorship list and to work with opponents, even before they knew they were against it. For example, we met with both of the major banking industry leaders in the summer and fall of 2015, because sometimes the banking industry has been opposed to these policies in other states. For the past two sessions, a bipartisan group of legislators in both the House and Senate co-sponsored LEEP. While the LEEP Act was heard by the Energy Industry and Mining (EIM) Committee a few days before it could be considered by the full Senate, the lobbyists for the major utilities in the state went to the leadership and asked to have the bill delayed indefinitely. Ultimately, leadership took a closer look at the bill and realized that it has almost no impact on the utilities, but would help local businesses; by then it was too late to make the bill move. Although we are disappointed with this outcome, we believe that the bill is in a much better spot for 2017 than it was going into 2016. We will be working with the utilities to see how the bill could be improved from their perspective and have gotten commitments that the Senate leadership will not oppose the bill. One good piece of policy that we expect to be studied during the interim sessions is how the government is spending its utility dollars. EEWV worked with House Government Organizations Chairman Gary Howell (R, Mineral) to determine how to best assess government waste in its energy bills. Chairman Howell said that even in his own office in the Capitol, the heat and air conditioning sometimes run simultaneously. 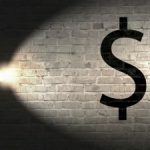 Unfortunately, though, there is no central repository of information about how much the state pays in utility bills, or even what buildings the state owns. The House approved a resolution to find out what the state owns and how to cut back on costs. EEWV will be working over the coming months with legislators to see how we can start saving taxpayers money, while bolstering the in-state businesses that provide energy efficiency services. While things looked pretty dismal for a while, with several bills to help oil and gas working their way through the legislature, in the end we held our ground as all of the bad bills were either defeated, languished in committee, or amended to address our concerns. Heading into the last week of the session, we were relieved that the fate of several bills had already been sealed, leaving only two bills of concern – SB 508, a bill that would have taken away property owners’ ability to file nuisance suits, leaving them with no legal recourse to hold irresponsible neighbors accountable for their actions, and SB 601, which would have made it easier to site and build landfills for drilling waste – still in play. Fortunately, SB 508, the anti-nuisance suit bill, died after the House Judiciary Committee held its final meeting without the bill being taken up. Although SB 601 ultimately passed, it was amended to remove all references to oil and gas solid waste (read more here). With the demise of so many terrible bills, perhaps the biggest disappointment was that the Department of Environmental Protections (DEP) proposed changes to their rule governing horizontal well development were not approved. You may have heard that DEP’s “rules bundle,” which would have implemented several new and amended rules, died on the last night of the session due to uninformed opposition to the adoption of a federal regulation aimed at reducing pollution from wood-burning stoves. There were several good changes in the horizontal well rule revisions. In particular, the provisions regarding construction of pits were greatly improved. Even though DEP did not stick with its initial proposal to eliminate the use of pits associated with a specific well work permit and mandate the use of closed-loop systems, they did apply many of the standards currently in place for centralized pits to these associated pits. If the changes to the rule had been adopted, all pits associated with horizontal drilling would have been required to have double liners and leak detection. Despite the many positive changes to the horizontal well rule, in some ways the loss of the “rules bundle” was a mixed bag because it also contained water quality standards revisions sought by the coal industry that would allow more toxic aluminum and selenium into our streams. As it now stands, DEP is looking into whether it can put some of the rules into effect as they were submitted to the legislature, without the changes made during the legislative process. In the meantime, the agency will continue to operate with the rules it had in place prior to the session, although some programs, like the new Aboveground Storage Tank (AST) program implemented in response to the 2014 Freedom Industries chemical spill, lack existing rules to fall back on. We’ll continue to keep you posted as this situation with the DEP rules develops. In the meantime, thanks to everyone who made calls, sent emails, traveled to Charleston, wrote letters to the editor, etc. during the legislative session. We couldn’t have stopped these terrible bills without you. Thanks for all you do and for your continued support! As always, please visit our Facebook, Twitter, and website and share this update with your friends and families – or at least the action links, as time is winding down for the governor to veto bills! Thanks for sticking with us through session and for taking action! We’ll continue to keep you updated on events in your area, election dates and information, and actions you can take throughout the remainder of the year. Encourage your friends to join our list so they can stay up-to-date too!